It is finally the last day of the challenge and the challenge today was to re-create a favorite challenge. I have seen a lot of bloggers choose to recreate the manicure of someone who was doing challenge along with them. Since I did mine at a snail's pace that no one except for me could follow, I didn't have that option. Instead I recreated the animal print challenge from Day 13 for my cousin Lana. 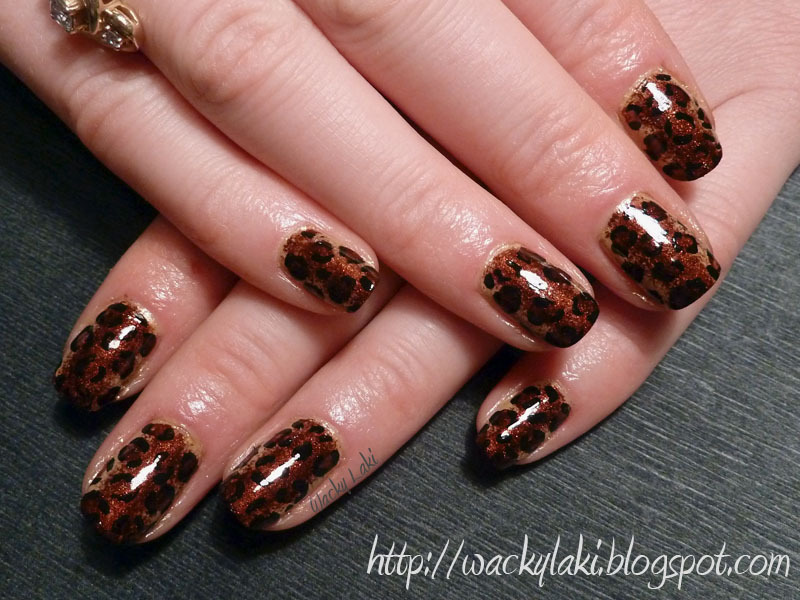 She is a big fan of animal print and asked me to do a tutorial for the manicure after I posted it back in September. Here is to more fun manicure girl times!! Have you done manicures for friends or family? I love the colors you used! So awesome!